Why does VA take so long to resolve an appeal? This is a question that I hear almost daily from veterans around the country. As a veterans disabiltiy lawyer, I have seen cases that have been on appeal for as long as 30 years. In fact, on average, in cases where I represent veterans on VA appeals at the U.S. Court of Appeals for Veterans Claims, it is quite common to see cases that have been on appeal for at least 6-7 years, and at least 10 years on appeal is seen frequently as well. Veterans are increasingly frustrated at VA's inability to resolve appeals in a timely fashion. In addition, veterans feel helpless because there does not seem to be any reliable strategy for forcing VA to make a decision. Veterans will call their Congressman or Sentator. And these elected officials send a perfunctory letter to VA. The VA responds with a boilerplate answer that gives the appearance of responsiveness, but really provides the veteran with no meaningful information. Some veterans resort to writing letters to the President all in an effort to cause VA to make a decision. Unfortunately, I've never seen a letter from a Congressman or a Senator--or a letter to the White House--actually cause VA to hurry and make a decision. But there is a legal technique that can cause VA to take action on a claim. The technique veterans disabilty attorneys use is a Writ of Mandamus. A Writ is a petiton for extraordinary relief that is authorized by a federal statute called the All Writs Act (AWA). This law provides: "That the Supreme Court and all courts established by Act of Congress may issue all writs necessary or appropriate in aid of their respective jurisdictions and agreeable to the usages and principles of law." 28 U.S.C. Section 1651(a). In the context of a disabled veteran's VA appeal, the U.S. Court of Appeals for Veterans Claims has jurisdiction to review decisions of the Board of Veterans' Appeals. So, the U.S. Court of Appeals for Veterans Claims would have jurisdiction to address the VA's failure to issue a timely decision. The Writ can be a useful tool in the aresenal of a veterans benefits lawyer in order to make VA take action on a claim that has been stalled for years. For example, one of the earliest cases concerning a Writ in the history of the veterans' court involved a veteran, and subsequently his widow, who had been seeking service connection for about 20 years before finally pursuing court intervention to force VA to take action. The Court in that case denied the writ based on the representation of VA's counsel that a decision was imminent. This raises an important point. That is, for the Court to have jurisdiction there must actually be a case in controversy. So, if VA makes a decision on a VA appeal that was the subject of the Writ, then the Writ would be denied as moot. But, in most cases, the denial of the Writ becomes inconsequential because it is actually the filing of the Writ itself that forces VA to look at a veteran's file and take action. In other words, a veteran's file may have slipped through the cracks, being buried somewhere in the VA regional office. It's off their radar screen. However, when VA realizes it must defend against a Writ, the VA's response is often to take the action that the Writ is seeking and then notify that Court that there is no controversy and so the Writ would be moot. I will give a real life example. I represented a disabled veteran on his VA appeal in an increased rating claim for PTSD. His VA appeal had been pending for about 6 years. He filed his Notice of Disagreement and then hired our veterans disability law firm to represent him. We requested a decision review officer (DRO). 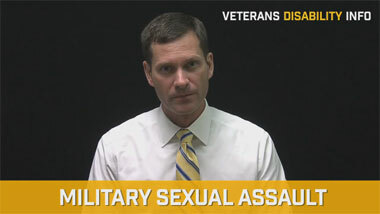 This case involved a VA denial from the Seattle regional office. We waited for 2 years and there was still no decision. Our office kept writing to the VA but we received no response. Finally, it had been almost 3 years and the DRO had still not made a decision. So, we started sending letters to the RO every 30 days. We did this for about 4 months. The VA never responded. Our letters clearly notified the VA that we would seek relief with the U.S. Court of Appeals for Veterans Claims if no response was received. Despite our threats, the VA still did not respond. We filed the Writ of Mandamus. The Court issued an order directing the VA's counsel to respond to the allegations in our Writ. Within approximately 2 weeks I received a telephone call from the VA lawyer indicating that the Seattle regional office had made a decision on the claim. The VA attorney asked if I would dismiss the Writ as being moot since the relief we sought had been granted. Our client had no probelms dismissing the writ because the case had been resolved and he received a sizeable back pay check shortly thereafter. This illustrates the strategic mindset behind the filing of a Writ. Often times it is not expected that the Court will actually grant the Writ. But the actual filing of the Writ, regardless of its ultimate success, often serves as a catalyst to get a veteran's case noticed and to cause VA to take action. 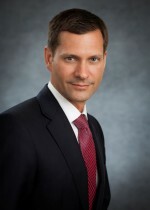 The technique of using a Writ can be used when a claim has been stalled for many years or there is otherwise a sense that VA has lost track of the claim. A veteran must show clear and indisputable right to the Writ. He must show that he lacks alternative means to obtain relief. He must show that under the circumstances, the Writ would be warranted. He must show that the delay was so extraordinary that it amounts to a refusal to act on the part of the VA Secretary. The Court has not defined what a reasonable time is. In the case of Chandler v. Brown, 10 Vet. App. 175, 177 (1997), the Court observed that reasonable time could mean several months and maybe even a year or two, not not several years or a decade. So, if you have been waiting for a DRO decision from the VA regional office for 18 months or longer, then you may wish to consider filing a Writ of Mandamus. Send 4 letters spaced 30 days after. 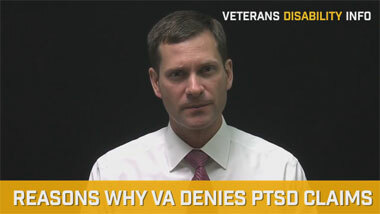 With each subsequent letter recite the fact that VA failed to respond to the previous letters. After about the second letter, kindly remind the VA that you are considering Court intervention if no response is received. Keep in mind that you can only ask the VA to take the next step in the process. For instance, if the Board of Veterans Appeals remanded a claim for PTSD for a new medical exam, then it would be premature to demand a decision until after the exam is completed. So, if nothing is happening on the file because VA never scheduled the exam as required by the Board's remand order, then the focus of the Writ would be on forcing VA to provide the exam. Your letters would demand that an exam be scheduled and when VA fails to respond, then consider filing the Writ. Admittedly, the whole process of Writs can be complicated and difficult for a veteran to do on his own. If you have a VA appeal that has been pending for too long, then you may want to consult a veterans disabilty lawyer for assistance. You should find an attorney that has substantial experience at the U.S. Court of Appeals for Veterans Claims and who has experience filing Writs. By way of example, if you have a pending VA appeal for PTSD that appears to be parked at VA with no action for the past 2 years, then contacting a veterans disabiltiy attorney to help with the VA appeal and the Writ would be a wise thing to do. The good news is that there are ways to force VA to take action on your file given the right circumstances. Fighting back against VA's delays is one of the biggest concerns we see as veterans disabilty lawyers. 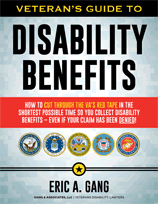 Knowing some effective strategies may help a veteran get his disabiilty compensation faster.